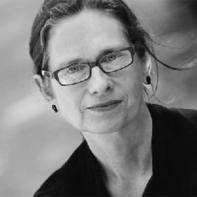 Lydia Davis is the author, most recently, of The Collected Stories of Lydia Davis (Farrar, Straus & Giroux, 2009), a new translation into English of Madame Bovary by Gustave Flaubert (Viking Penguin, 2010), and a chapbook entitled The Cows (Sarabande Press, 2011). She is also the author of one novel, The End of the Story, as well as several translations of novels from French. She is currently assembling another book of stories; working on an adaptation of an 1899 British children's classic; and translating from Dutch very short stories (zeer korte verhalen). She lives in upstate New York. Superstition Review: Will you describe your writing process? When and where do you write? Lydia Davis: I write just about anywhere—in a train, a bus, my study, the kitchen—usually in a notebook but sometimes on any spare scrap of paper. SR: You are very well known for your translation work, including of Madame Bovary and Proust's Swann's Way. Will you describe some of the challenges you face when tackling a translation? LD: One of the challenges is simply comprehending the original. There will always be a few spots in a text that are difficult to understand. You would think that if previous translations of the work existed, I could get some help with difficult sentences by consulting them. But often enough they are wrong or they have fudged the interpretation. Sometimes I can find help in the author's previous drafts, if they are available—this was true of the Flaubert translation. Then I can see what he had in mind, and how he found his way to the final draft, and that helps me find the right interpretation. Another challenge, say in the case of the Proust, is constructing sentences in English that more or less follow the syntax of the original—and of course Proust's could be quite elaborate. But that is a rather invigorating challenge. With enough persistence, it can be done, and there is a lot of pleasure in it. SR: I read that you spent a lot of time when you were younger studying violin and piano. How does the process of studying music affect how you write? Describe the relationship between reading and interpreting music and reading and translating a foreign language. LD: More and more, now, I hear different foreign languages as different kinds of music. There is some of the same enjoyment in pronouncing those foreign words as there is in singing or playing a song. German sounds very different from Dutch, and Castilian Spanish from Catalan, the language of the north of Spain. It was years before I saw the relationship between trying to play a perfect fifth on a violin and hearing the difference between the right and wrong pronunciation of a word in French—but the ear training involved in tuning a violin or a guitar helps you to speak another language, I'm sure, and it also helps you pay more attention to the sound of your sentences in English. I also believe that the music theory classes I took in high school helped me to develop a sense of structure that carried over into structuring a piece of writing. SR: In a 2008 interview with The Believer you stated that at the time, you were no longer interested in “creating narrative scenes between characters.” What prompted this decision? Does this still hold true? LD: It wasn't really a decision, but an evolution—over time, I simply became less interested in what you could call the more artificial aspects of writing a piece of fiction. But I continue to study and admire the masters of the short story, and I can see going back to the more traditional forms now and then to re-experience them. SR: You are frequently heralded as one of the best writers of flash fiction. How do you feel about the need of some to categorize short stories into a narrow classification? How do you respond to critics who remark that two lines, or a sentence fragment, can't possibly be a short story? LD: I make a distinction of terminology between "short story" as traditionally labeled and "story"—which can cover a broader array of forms. I don't believe a two-line piece can be called a "short story," but it can contain a fragment of narrative that transports the reader to another time and place or frame of mind and suggests a possible story that may unfold in the reader's mind. SR: When you read your published work do you ever feel the desire to change it? Have you ever wished you had elaborated more on the shorter stories, or pared down the longer ones? LD: Not really. I have never wished the shorter stories were longer. I spend a long time on them, even though they are so short, and I am quite sure of the length by the time they appear in print. That is true of the longer ones, too. SR: How often does autobiography creep in to your stories, especially the short ones that could be described as a fleeting thought? LD: I use material from my own life as much as from anywhere else. Poets do this all the time, of course, but it seems to be more unusual in a fiction writer. SR: Some writers have a difficult time choosing which of their work they like best. Of your four short story collections, Break it Down, Almost No Memory, Samuel Johnson is Indignant, and Varieties of Disturbance, is there one that you are particularly fond of? LD: The collections are filled with a variety of stories, and a lot of them, some from very different time periods, so I would never be able to choose one of them as a "favorite." There are individual stories that I am particularly fond of, in all of them. And like a lot of writers, I am especially interested in recent discoveries—such as what I call the "stories from Flaubert," which are composed from his letters. They haven't appeared in a book yet. SR: A dark wit shines through many of your short stories, such as “Mother's Reaction to My Travel Plans” and “Almost Over: What's the Word?” Can you talk a bit about your affinity for dark humor? LD: Humor is very interesting. There are so many varieties. I recently read about some attempt to define "Italian humor"—I wonder exactly what that definition would be, and whether a piece of Italian humor could be answered by a piece of Swedish humor, whatever that might be. I suppose you learn humor from someone, probably your parents, and maybe mine were inclined toward a dark humor. Certainly I have friends whose humor is even darker! I am also interested in the dividing line, which is sometimes very thin, between comedy and tragedy. SR: There are common themes throughout your stories with female narrators: obsession, betrayal, isolation, friendship, marriage, relationship between the body and mind. Does the writing you are currently working on continue to incorporate these themes? LD: I'm sure I continue to return to these themes. But I also keep moving in new directions. These days, for instance, I'm interested in several different historical periods and types of religious persecution, prejudice, and the idea of contingency (versus necessity).